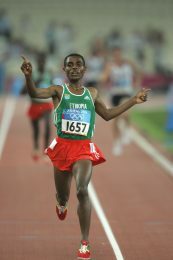 Kenenisa Bekele went to the Standard Chartered Dubai Marathon, on January 20, as the strongest possible favourite to win. He was so confident of his superlative form that he even predicted a world record, which was hardly outrageous, since he had come within six seconds of Dennis Kimetto’s 2.02.57 when winning in Berlin just over three months earlier. But nemesis was lurking in the shadows of the early morning start line in Dubai. While his manager, Jos Hermens suggested a deliberate push by political opponents, pictorial evidence seems to indicate that Kenenisa, distracted by his running watch simply got tangled up with pacemaker Amos Kipruto, and suffered a heavy fall. He raced to re-join the pack, probably running the first kilometre well under two minutes fifty seconds. He fell back after 15k and eventually dropped out, battered and bruised, shortly after halfway. He nevertheless joined me after breakfast the following morning for a lengthy, no-holds barred conversation, which provided the basis for this feature, the first part of which was published here last week (http://www.globerunner.org/01/fall-guy/). He had initially come to Dubai without his family, but had been joined after the race by his wife, former film star Danawit, and his three young children, the girls Elsama and Elrata, and the boy Nigus. They were planning to stay and relax, and doubtless shop for the rest of the week, before going home and getting back to the serious business of marathon training. He had spent much of Saturday morning talking to the renowned Italian coach Renato Canova, who has been a fixture in east Africa – Kenya and Ethiopia – for well over a decade. And Kenenisa shares the belief of many that Canova is very special, if not for his ideas about training then for his enthusiasm, inspiration and motivation. “I’ve learned a lot about the marathon from Renato,” he says, “He has given me a lot of advice and inspiration. And I’ve learned from his experience. If we met before, maybe I could (have) run better in five and ten (5000/10,000 metres, where his world records already look untouchable). He’s helping and advising me now. I’m sure other top coaches get a lot of information from Renato; for his age, his experience and his motivation. Renato’s philosophy is very interesting. It depends on your talent and ability, and motivation of course. If an athlete is young he gives them motivation to climb. With me, he gives me motivation to stay on top”. Given that Kenenisa is looking to go well under 2.03 eventually, the question of the current sub-two projects comes up. Though he is a Nike athlete, he is not currently part of their publicity-seeking quest, and at the Dubai pre-race press conference he had ventured that 2.01.30 was probably the best that he or anyone else might do currently. I had not interviewed Kenenisa one-on-one for well over ten years, and then through an interpreter. Though his English is still far from perfect, he is confident enough to sit through more than an hour of questioning, and answer everything, including those political questions (outlined in Part One), without hesitation, and even essay, I think, a bit of irony. “I’m sure somewhere, within two or three years, the sub-two will be broken. I don’t know how, and maybe it won’t be official. It’ll have to be very flat, maybe even downhill?” “With a following wind? I suggest; he laughs, and readily concurs, “Probably with wind”. 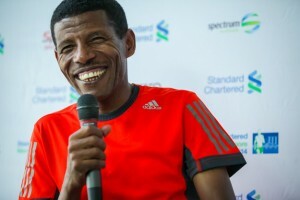 His great predecessor Haile Gebrselassie is the man who put the Dubai Marathon on the map back in 2008 when he took five minutes off the course record, running 2.04.53, second only to his then world record of 2.04.26. He followed that up with two more runaway Dubai victories, while never managing to come any closer to his record. (Such have been the strides that the event has made since then that his 2.04.53 no longer features in the Dubai top ten). Haile has been a cheery presence throughout the whole of Kenenisa’s career, and the latter, a much more reserved and conservative character has tended to be, if not criticised, then overlooked as a personality in contrast. While that is certainly not the case as far as his record breaking goes – though he has far fewer records – he does not shrink from answering immediately when I enquire if maybe they don’t get on too well. I had been at the Fanny Blankers-Koen meeting in Hengelo in 2003, when Kenenisa had beaten Haile for the first time; and the older man was visibly annoyed, for maybe the only time in public, when he invited Kenenisa to share the pace-making and the younger man refused to take the bait. Kenenisa then took over in the last kilometre, and won by close to ten metres. This was the most animated that Kenenisa got during our interview; clearly the memories of deposing Haile and breaking his records (earlier than expected) have been the highlight of his career. “In normal life, we are friends,” he says of Haile. “As competitors, we are rivals, never friends. If I beat him, he’s not happy, and vice versa. “I started beating him in 2003. But those world records were big results, especially the way I broke them.  Inside one week, I broke the 5000 and 10,000 metres records. It was incredible, it was something special at that age (he was 21). It was not an easy thing. God drove me unexpectedly. Even my manager didn’t expect it. I thought maybe I would do it in the future. It was never planned that way. Haile, he lost two records in one week. I don’t forget that. It encouraged me to a long career. I beat him and his records. It made him think about his career. I also became Olympic champion (for the first of three times) in 2004. By a similar token, I’m interested to know what he thinks of Mo Farah’s chances of a successful transition to the marathon. Farah has shown little promise thus far, and I for one am doubtful that he can transfer that double ‘double’ gold talent on the track to the longer distance on the road. Kenenisa smiles again, whether with satisfaction or not, I can’t determine. Remember Farah finished behind him (but ahead of Haile) in the Great North Run half-marathon two years ago. “To be honest, I can’t say he won’t succeed, but I spoke to Farah before he tried the marathon, and I said, are you sure you want to move up? ‘Let me try,’ he said. I met him afterwards (Farah finished eighth in London 2014, in 2.08.21), and he said, ‘Oh man, I don’t think I will run the marathon again’. But at this stage, we can’t say he won’t succeed. I’m sure he’ll succeed, but it takes two or three years”. Kenenisa admitted at the Dubai press conference that it had taken him two years (and six attempts), to learn how to be a marathoner. And indeed, Farah has indicated in the last week that he will not return definitively to his UK base (where he arrived from Somalia at the age of ten) until he has made another assault on the marathon distance. Kenenisa’s own next marathon attempt is in London in April, when he will face a stacked field. He finished third last year, but is clearly a different man after his 2.03.03 in Berlin. And given the adage that what doesn’t kill you makes you stronger, the Dubai experience is going to make him a tough proposition for anyone. What a shame that stable-mate, Eliud Kipchoge won’t be running, what a match-up that would be! Instead, what we’ll get, barring another fall is a man determined to make a further mark on history. “I like London. The weather can sometimes be bad; rainy, windy, even hot. But it’s good for runners. The spectators, the people are so interested. They have respect for the marathon”. (Incidentally, not everyone may know that Ethiopian second (and third, etc) names, in this case Bekele, are patronymics; which is to say the father’s first name (and the grandfather’s, etc). Each child is given his/her own name, with antecedents’ names appended. 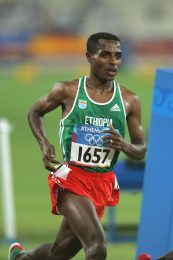 Kenenisa is the name by which everyone in the Ethiopian community will know him, just as Haile is known by his first name, rather than by his father’s first name, Gebrselassie. Similar traditions apply in other East African countries. I recall 1987 world 1500 metres champion from Somalia, Abdi Bile Abdi, telling me he knew his antecedents’ names back for generations. In this case, the second ‘Abdi’ was his grandfather’s name).